Cranleigh Bathrooms is a specialist bathroom retailer which provides a comprehensive design service. Each personalised design will be professionally tailored to meet your individual requirements by our highly experienced and qualified bathroom design specialist. Our bathroom specialist is available to carry out home appointments to assist you in designing your ideal bathroom. Our designer can also provide you with a virtual image of your bathrooms so you will be able to visualise what your bathroom is likely to look like. We also can provide you with a recommended fitter who will project manage and/or carry out the installation if required. Cranleigh bathrooms offers an extensive choice of products which have been selected by our showroom manager to offer the highest quality. Cranleigh Bathrooms prides itself on its reliable, friendly, professional service and is proud to acknowledge that a high proportion of our business comes from personal recommendation from satisfied customers. Whether you want to update your home, add value to your property or simply relax in elegant surroundings, N G Cox Bathrooms will design and fit the perfect bathroom for you. Nick Cox has been fitting bathrooms in the Tunbridge Wells area for 30 years, and his skills and experience guarantee a level of quality and professionalism that is hard to beat. Providing a complete end-to-end design and installation service - including all plumbing, tiling, carpentry, flooring, decorating and electrics - Nick will work with you to create the bathroom that you've always wanted. New rooms, refurbishments, en suites Complete design and fitting service All-inclusive pricing All work guaranteed There are no hidden costs, no hourly rates, no corners cut...just a luxurious bathroom for your home at a price you can afford. & So To Bathe is a full service retailer, designer and installer of bathrooms, shower rooms and wetrooms with a showroom in Horsham, West Sussex. Trading since 2006, we offer customers the very latest in 3D and 4D virtual bathroom design. Not only will we produce photographic quality renderings of your new bathroom or shower room, with 4D virtual reality you can see and move around your new bathroom before it is installed! Our modern bathroom showroom displays the very latest on trend products from all the leading manufacturers, including Dansani, Catalano, Pura, Hansgrohe and a huge range of the latest on trend ceramic, porcelain and natural stone tiles. Serving Surrey and West Sussex, we work with a network of trusted bathroom installers with whom we have developed long term relationships. 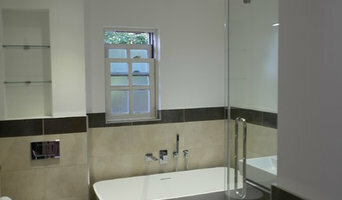 We also offer made to measure frameless shower enclosures, disability bathrooms and wetrooms. Our aim is to provide you with great customer service, competitive prices and expert bathroom design ideas. Why not visit our showroom or contact us for a free home consultation and take advantage of the very latest in bathroom design technology and let us deliver the bathroom of your dreams. Leaneys of Lancing Limited is a family owned and run company Established in 1964. Situated on the West Sussex coast between Brighton and Worthing. We are a specialist bathroom retailer which provides a comprehensive CAD design and planning service, each design will be professionally tailored to meet your individual requirements by our highly experienced and qualified bathroom design specialist. 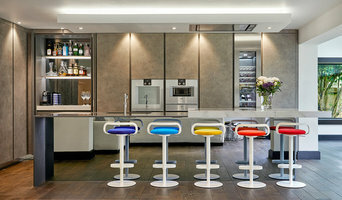 Our showroom offers an extensive choice of products which have been selected to offer the highest quality. Leaneys prides itself on its reliable, friendly, professional service and is proud of the fact that a very high proportion of our business comes from personal recommendation from satisfied customers along with old customers returning too. Showerpower provide Bespoke Frameless Shower Enclosures and Bath Screens that fit your space to perfection. Custom-made and installed with a total dedication to quality, Showerpower™ take shower enclosure and shower screen design to a new level of service and customer care. Our beautiful, bespoke frameless shower enclosures and bath screens are tailor made to fit your space, no matter how unusual or intricate. Using the most advanced methods, high quality components and sophisticated accessories, the result is a clean, contemporary finish with an exacting attention to detail. Over fifteen years, Mulcare Ball Ltd has developed a reputation for quality bathroom and kitchen installations throughout Haywards Heath and the surrounding area. Every single bathroom installation is tailor-made to the customer's specific design ideas and budget. We work with the customer every step of the way through the design and installation process to ensure we provide them with the exact bathroom of their choice. In addition to providing high-quality bathroom design and installation services, Mulcare Ball Ltd also provides high-quality kitchen fittings. Cannadines is a family business run by a small team, headed up by a dedicated father and son. 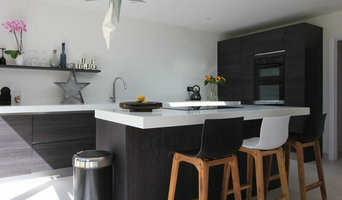 We specialise in the full design and installation service to give you the kitchen, bathroom or bedroom of your dreams. However, if you’ve your own fitters we can supply the equipment you need from the many quality manufacturers available to us. We are a family run business who have been trading for over twelve years, the last seven of those in Cranleigh, Surrey. As of April 2017 we have another branch located in Ifold, West Sussex.Thomson Properties is an associate of The Chartered Institute of Plumbing and Heating Engineers and we are members of The Guild of Master Craftsmen. We are fully insured and all workmanship on new installations is guaranteed for a minimum of three years. After recently being accepted by the GGFi insurance backed guarantee scheme, our customers now have the option of upgrading their guarantee to an insurance backed guarantee.We take tremendous pride in our work and our small team of specialist tradesmen has earned an enviable reputation for quality, reliability and integrity.We look forward to hearing from you. A quality Brighton, East Sussex bathroom designer will start by getting to know you, your family and your home, to understand how to create a bathroom perfectly tailored to how you live. Bathroom designs can vary hugely in spec depending on the size of the space and a good bathroom designer will be able to offer creative solutions that will still allow you to achieve the style you want in the space you have. From wet rooms to cloakrooms to luxury ensuite bathrooms, bathroom design can be particularly tricky because of all the plumbing and infrastructure involved, so it’s handy to have bathroom fitters in Brighton, East Sussex on call who can handle any plumbing, wiring or structural questions that may arise. Many bathroom designers will also offer a full bathroom fitting service, using their network of Brighton, East Sussex bathroom fitters to ensure you get a perfect finish. The benefits of employing professional bathroom designers and bathroom fitters in Brighton, East Sussex include guidance and advice on how to make the best of a small bathroom space or how to create a truly luxury bathroom if you have room to spare. From clever bathroom layouts to the best bathroom furniture your designer can help you make the best decisions and offer ideas for how to create the bathroom of your dreams. It’s essential for your Brighton, East Sussex bathroom designer to understand your needs precisely in order to design and fit the bathroom that you want. Being upfront with your bathroom budget will allow your designer to advise on tailoring your design to your specifications as realistically as possible. You can use Houzz to assist your design process by creating ideabooks that reflect your dream bathroom ideas and style, finding inspiration for colour palettes and materials for bathroom furniture, tiles, cabinets and bathroom suites all of which will be hugely helpful in guiding the process of your Brighton, East Sussex bathroom designer and bathroom fitters. Understanding your vision and any limitations will allow your designer to come up with creative ideas and solutions. A new bathroom won’t normally need planning permission unless it is part of a house extension or you are modifying a listed building, but it is always advisable to check with your local Planning Authority before giving the go-ahead to your bathroom fitters in Brighton, East Sussex. Building Regulations apply to the building of a brand-new bathroom, where there wasn’t one before. Floor structures may have to be evaluated to ensure that they can support the weight of a new bathroom and a full bath in use and in some cases work may be required to strengthen timber joists and boards. Your bathroom designer will be able to advise on bringing in a structural engineer or surveyor to assess the floor and, if necessary, produce the paperwork required by Building Control in order to commence the bathroom fitting or installation. How long have you been bathroom designers and/or fitters in Brighton, East Sussex? Find a bathroom designer on Houzz. Narrow your search in the Professionals section of the website to Brighton, East Sussex bathroom designers and bathroom fitters in Brighton, East Sussex. You can also look through Brighton, East Sussex photos to find a bathroom, wet room or cloakroom you like, then contact the professional who designed it and fitted it.